My First Bilingual Book - Home (Polish - English) will teach children how to name different objects from around the home, in both Polish and English. This sturdy board-book features lots of photographs and illustrations; below each image is the word for the object in English and Polish in large, bold text. 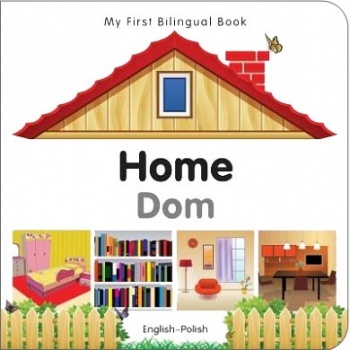 My First Bilingual Book - Home (Polish - English) is ideal for children learning either Polish or English. Please note that there is no pronunciation guide included so it would be useful for an Polish speaker to use this with a young child to help them to say the Polish words.